TOP FM started its services on 19 May 1990.Its genres is Top 40-Pop & Rock , Its headquarter is located in Fürstenfeldbruck, Bayern, Germany.If you have any question about programs , service or any suggestion then just contact on number (0 81 41) 32 32 – 0.You can also contact for Advertising your business. 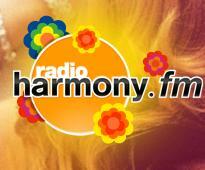 Harmony FM is actually a private radio station which is located in Hesse, based in Bad Vilbel.It basically plays music from the 1960s, 1970s and 1980s (oldies).Mostly you can listen old genres songs ( Most 70s and 80s – music for adults) The station is thus aimed at an older audience.Its headquarter is located in Alsfeld, Germany. Unheard Radio Marburg (RUM) is a non-commercial community radio as a local radio station that can be received in Maribor and the surrounding area.The transmit frequencies are VHF 90.1 MHz (antenna) as well as 100.15 MHz.Its broadcasting studio is located in a former office building.Its Genres is Euro Hits and its Genres is located Marburg, Germany. 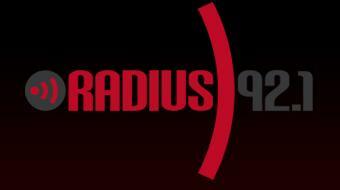 Radius 92.1 is basically a college FM station which is broadcasting on 92.1 MHz frequency in the city of Siegen.Here you can enjoy 24/7 Hrs online stream.Team is located in building of the University of Siegen, Hölderlin.Radius 92.1 broadcasts 24 hours a day.Its genres is World and its headquarter is located in Siegen, Germany.For contacting purpose call on 0271 – 740 2066. You FM is one of the famous Network which is owned and operated by Hessischer Rundfunk.This is basically the public broadcaster for the German state of Hesse.You FM now offering more traditional music and niche talk shows that is famous in all German community. 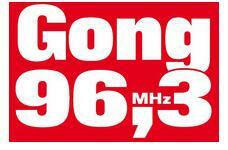 It operates a 24-hour format.Its Genres are Euro Hits & Top 40-Pop and it is located in Alsfeld, Germany. ERF Radio is basically christian station on which mostly you can listen christian programs.They also offer biblical interpretations and honest advice .Enjoy lots of music and variety of programs including talk shows , media interviews , Christian songs and classical music,Christian pop music, gospel and spirituals.Its Genres is Gospel & Christian Contemp and its headquarter is located in Wetzlar, Hessen, Germany. Charivari 91.35 FM genres is Top 40-Pop & Euro Hits.It is playing best hits that are popular in all the German community as well as across the world.Its headquarter is located in Rosenheim, Bayern.If you should like to advertise your business then you can advertise your products on this station. Radio Arabella is very popular station in Germany which is Actually the name of a group of regional stations in Germany.Now it becomes extremely popular in German community.It is perceived as a national channel.Slogan of this station is ”The best music of all time.”Its genres are Adult Contemporary, Oldies & Top 40-Pop. Radio Alpenwelle is actually a local station for the Upper Bavarian counties.It started broadcasting service in 3rd December 1992.At the start of boadcasting its transmitter was in Schliersee.Its genres is Top 40-Pop & Adult Contemporary.This station broadcaster is located in Bad Tolz, Germany.